Rome’s Cloaca Maxima, or Great Sewer, probably began its long and illustrious life as an open canal carrying water through the Roman Forum to the Tiber. According to Livy, it was built by command of Tarquinius Priscus, the fifth king of Rome, to drain the marshy and flood-prone valley between the Capitoline, Esquiline and Palatine hills which would become the Roman Forum, originally 20 feet below sea level. Three small rivers flowed down the hills to converge in this area which was also flooded annually by the Tiber, with floodwaters reaching almost 30 feet above sea level. The space was thus unusable and in fact often navigable only by boat. In the late seventh century B.C., Priscus had the basin filled with layers of soil, rock and debris so that it gradually rose to 30 feet above sea level, the magic number putting it just above the annual flood. The surface of the fill was then paved and ready for construction. A drainage canal that would channel flood waters and smaller tributary rivers out of the area and into the Tiber was essential to ensure the filled land wouldn’t be eroded. 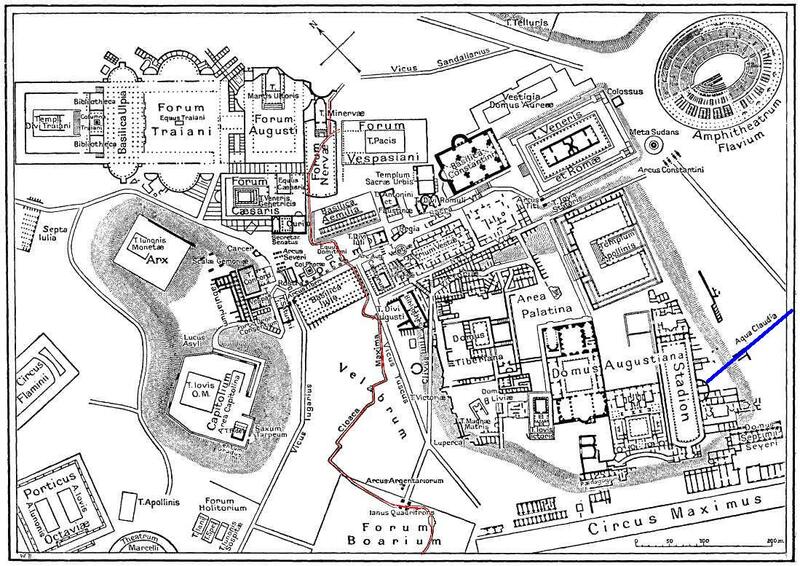 Priscus began construction of the canal around 600 B.C. and it was completed by Lucius Tarquinius Superbus, the last king of Rome, in the late sixth century. Archaeology confirms that the archaic walls constructed of massive tufa blocks date to the late sixth century. We should not fail to mention an occasion that is all the more worthy of record because the best-known historians have overlooked it. Tarquinius Priscus was carrying out the work using the common folk as his labourers, and it became doubtful whether the toil was to be more notable for its intensity or for its duration. Since the citizens were seeking to escape from their exhaustion by committing suicide wholesale, the king devised a strange remedy that was never contrived except on that one occasion. He crucified the bodies of all who had died by their own hands, leaving them to be gazed at by their fellow-citizens and also torn to pieces by beasts and birds of prey. Through the city there flow seven rivers meeting in one channel. These, rushing downwards like mountain torrents, are constrained to sweep away and remove everything in their path, and when they are thrust forward by an additional volume of rain water, they batter the bottom and sides of the sewers. Sometimes the backwash of the Tiber floods the sewers and makes its way along them upstream. Then the raging flood waters meet head on within the sewers, and even so the unyielding strength of the fabric resists the strain. In the streets above, massive blocks of stone are dragged along, and yet the tunnels do not cave in. They are pounded by falling buildings, which collapse of their own accord or are brought crashing to the ground by fire. The ground is shaken by earth tremors; but in spite of all, for 700 years from the time of Tarquinius Priscus, the channels have remained well-nigh impregnable. As the city grew, the drainage system was expanded over time into a patchwork of canals, forever being repaired, expanded into new areas or closed off to allow for safe construction above them. By the second century B.C., the canals were fully covered and became the underground sewer network that we know and love today. There are still active sections of the sewer with archaic masonry walls topped by second century Republican vaults. That mishmash of architectural styles continued through the imperial era as old areas were repaired or closed and new branches built. Marcus Vipsanius Agrippa, Augustus Caesar’s right hand man and son-in-law, had the Cloaca Maxima cleaned, repaired and enlarged during his tenure as aedile (one of the magistrates in charge of city building and entertainment) in 33 B.C. The emperor Domitian (reigned 81-96 A.D.) did the same as part of his extensive building program in the city. By then, the Cloaca Maxima was linked to the 11 aqueducts that supplied water to Rome, carrying out the waste water from public buildings, latrines and baths. In his report to the emperor Nerva, Domitian’s successor, Water Commissioner Julius Frontinus got stern about people illegally tapping into the overflow waters because they needed to be at full strength in order to properly flush the sewers. 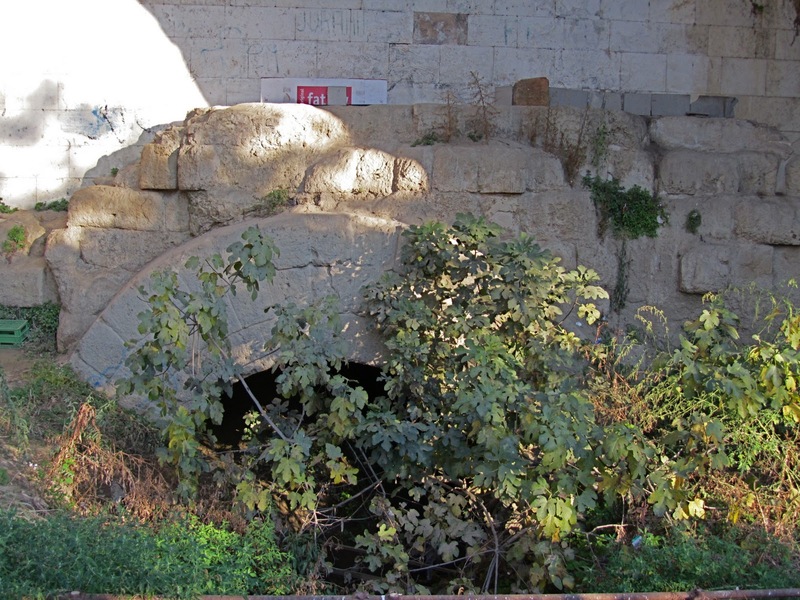 Even after the traditional Fall of the Western Empire in 476 A.D., the Cloaca Maxima was still in use in the city, although doubtless repairs floundered during the years when Rome went from an imperial city of one million to a holy ghost town of 35,000 during the Babylonian Captivity of the Pope in the 14th century. According to Poggio Bracciolini, a 15th century humanist and historian who documented the condition of the ancient ruins of Rome in the first book of his De Varietate Fortunæ, a section of the Cloaca Maxima had collapsed after the Byzantines looted it for its metal staples in the sixth century A.D. I don’t know how reliable the metal staples thing is, but it’s certain that although it remained in continuous use, parts of the Cloaca suffered along with the rest of Rome’s ancient structures during the Middle Ages. 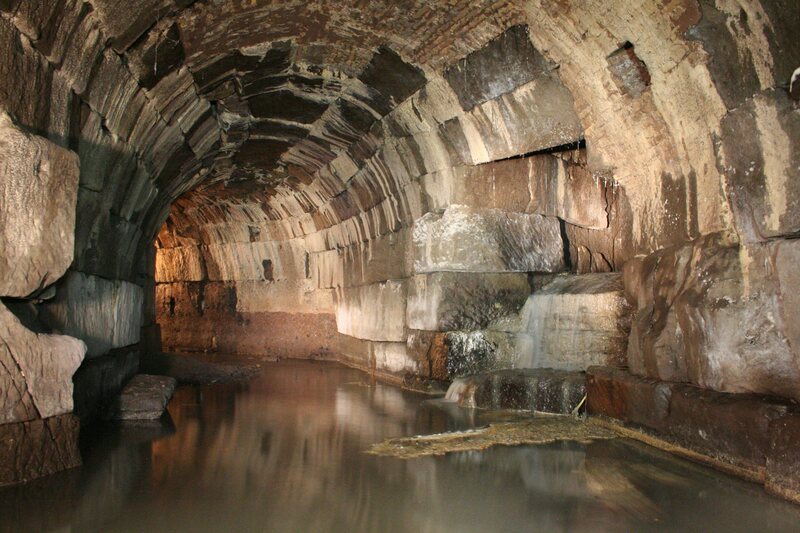 Under the Renaissance papacy, some of the city’s aqueducts and sewers were restored to function and after the Unification of Italy in 1870, more sections of the Cloaca Maxima were excavated, restored and put to use. 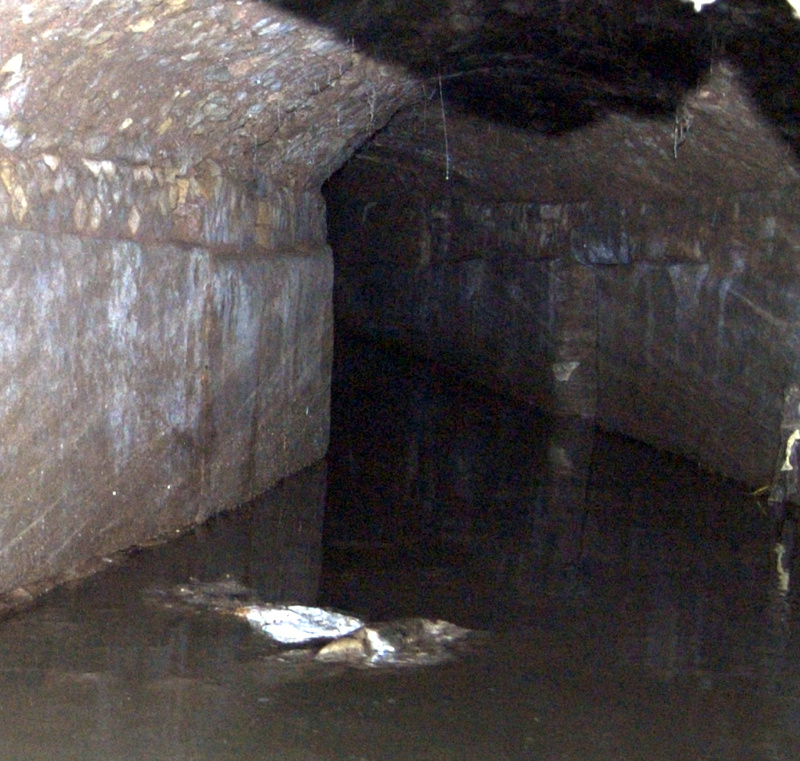 In the early 20th century, modern sewer building projects connected up to the Cloaca Maxima, thus ensuring it would have a job to do 2600 years after it was built. That job is primarily drainage. There’s plenty of trash and city detritus in there, but there isn’t supposed to be any raw sewage in the tunnels. However, the urban spelunkers at Roma Sotteranea have had some dubious encounters on that score. Just as it did when it was only decades and centuries old rather than in its third millennium, the Cloaca Maxima needs regular maintenance. For decades the Cloaca Maxima has been neglected — it hasn’t even been fully mapped yet — and as climatic extremes over the past few years have brought massive rainfall and subsequent flooding, the condition of the Cloaca has become critical. Research programs over the last six years have attempted to document the tunnels. This summer, the regional archaeological superintendence sent in a fantastic little scanning robot named Archeorobot that looks like a clear acrylic version of that little black bot that squeals when it’s racing through the halls of the Death Star in Star Wars. 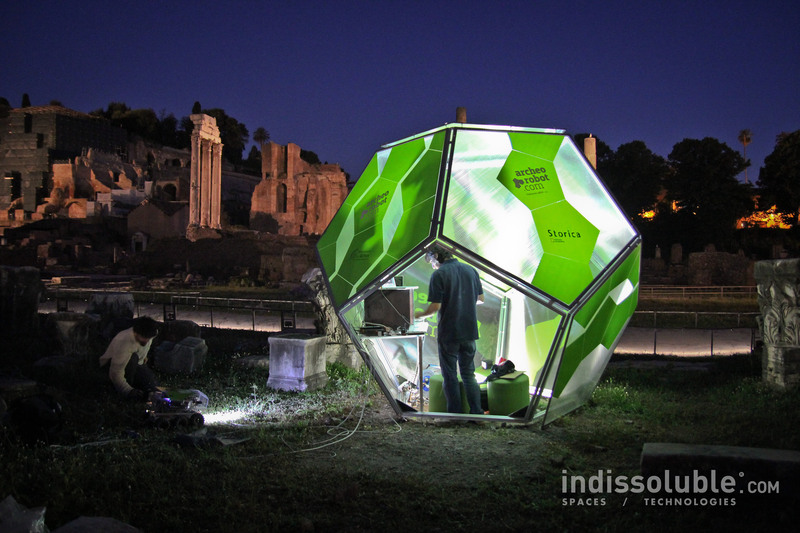 Just in case that wasn’t adorably nerdy enough, the bot is controlled from a portable polycarbonate dodecahedral booth that looks like a giant Dungeons and Dragons die. Its cuteness is surpassed only by its usefulness. Small and agile, Archeobot took HD footage and 3D laser scans of its path through the main duct and smaller offshoots under the Forum. It also recorded humidity levels and temperatures, took physical measurements and identified the gases in the tunnels. What it found was alarming. Blockages and structural damage have transmuted the Cloaca Maxima from an essential aid to the health and safety of the city to a serious threat. Any collapse could cause irreparable harm to the historic center, as could the backup of flood waters. Armed with research data, on Wednesday the city maintenance teams went down into the Cloaca Maxima under the Arch of Janus near the Forum Boarium where the Cloaca disgorges into the Tiber. They will spend the next two months cleaning the tunnel, removing debris and sediment layers that are obstructing the flow of water. Although they are still raising money for it, their goal is a two year project of repair and cleaning that will address the urgent issues afflicting the Cloaca Maxima. This entry was posted on Sunday, November 18th, 2012 at 4:49 PM	and is filed under Ancient, Modern(ish). You can follow any responses to this entry through the RSS 2.0 feed. You can skip to the end and leave a response. Pinging is currently not allowed. A very cool mapping project and the robot/remote is quite adorable! Pity that it requires a tether though! I know! It really should be wireless, but I imagine signal loss underground is a strong possibility, and good luck trying to retrieve the little guy once he’s lost in the Cloaca Maxima. Say a prayer to Cloacina for that brave robot! Where can I get one of those bots? searching an image of the Cloaca Maxima I found your interesting site with the picture „Domitian-Cloaca_Forum.jpg” in a high resolution. Now my question about this image. It would be great if were possible. Sovrintendenza Capitolina ai Beni Cuoturali.